We have operated the business with registered capital of 699 million baht and 700 employees. We have various joint venture company with concerning automobile parts both 2 wheel and 4 wheels. Our groups of companies are as follows. NISSIN BRAKE (THAILAND) CO., LTD..
TANAKA PRECISION (THAILAND) CO., LTD.
MIYUKI INDUSTRIES (THAILAND) CO., LTD.
THAI F.D. 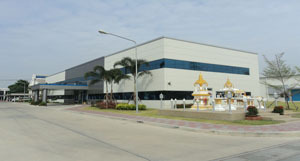 ELECTRIC CO., LTD.
DAISIN ART LOGISTICS CO., LTD.
M.N. INTER HOLDING CO., LTD.
MITSUBOSHI BOEKI (THAILAND) CO., LTD.